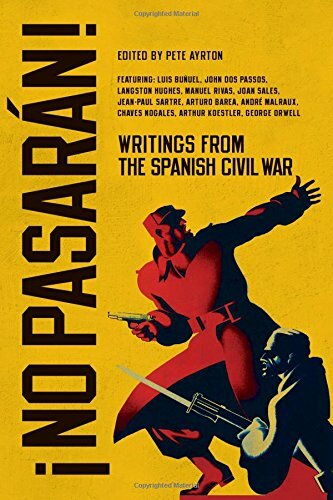 From the homefront to the heat of battle, the first truly international Spanish Civil War anthology. Hope, resignation, despair, sadness, humor, confusion, ruthlessness, compassion, kindness, generosity and love inhabit Pete Ayrton's anthology of writings from the Spanish Civil War: there is little sense of triumphalism among the bewilderingly diverse Republican and Nationalist coalitions, all shades of which are represented here. Previous collections privileged the writings of the International Brigades over those of the Spanish, sometimes excluding them altogether. !No Pasarán! corrects the balance: by far the largest contingent of its thirty five writers are Spanish, including Luis Bunuel, Manuel Rivas, Javier Cercas, Arturo Barea, Joan Sales, and Chaves Nogales. The other writers offer contrasting perspectives of participants in the conflict from America (among them John Dos Passos, Muriel Rukeyser and Langston Hughes); Italy (Curzio Malaparte and Leonardo Sciascia); France (Jean-Paul Sartre and André Malraux); Germany (Gustav Regler); Russian (Victor Serge), Great Britain (including Arthur Koestler, George Orwell and Laurie Lee), Cuba, Argentina, and Mexico. Acclaimed editor Pete Ayrton brings together hauntingly vivid stories from a bitterly fought war. This is writing of a high order that allows the reader to witness life from the front lines of this momentous conflict.